This piano accompaniment matches the tempo indications (with metronome markings), articulations, dynamics, measure numbers, etc., used in the Solo Flute Part in Friedrich Kuhlau - Flute Quintet in E Minor for Flute & Strings (Op. 51, No. 2). 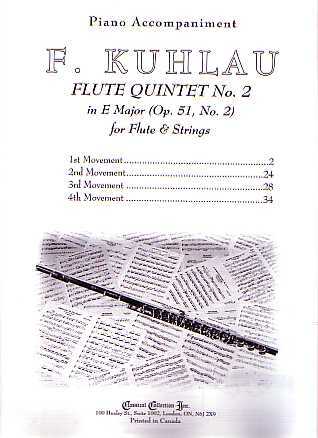 (visit this link for details on the history and background of Friedrich Kuhlau and Flute Quintet in E Minor for Flute & Strings (Op. 51, No. 2).